POS Landcare provide easy access to land management solutions for developers and landowners who have surplus landholdings which are proving a distraction from their main activities. This is accomplished by accepting a freehold transfer of the land in its current state with POSL bringing it up to the standard expected by local authorities and residents after completion of the transfer, thereafter taking responsibility, as landowner, for the liabilities and maintenance. This allows the transfer to be concluded quickly without the developer spending time bring the sites up to adoptable standard. The maintenance is carried out by fully experienced professionals and competent operatives using the most up-to-date equipment for the job, ensuring an excellent finish, resulting in a high level of customer satisfaction. The POSL ethos and model is focused on efficient proactive management, anticipating problems and dealing with them in a timely manner. What type of site is suitable for POSL? One of POSL’s main strengths is its management approach, whereby we have not ‘pigeon holed’ ourselves into concentrating on clean, easy, liabilities and will consider all land offered to the company. 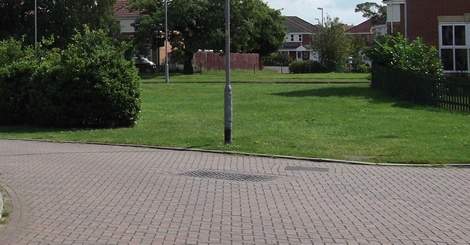 Some land looks to be the ideal greenspace, but on occasions its location is predetermined because the land is not suitable for development due to problems ‘hidden’ below ground. These could be physical obstructions that need to be avoided, like mineshafts or pipelines or environmental constraints like contamination or landfill preventing the lands’ development. The group of companies has a wealth of skills and experience and in the event of a challenging piece of land being offered to the company the Landcare division would assist and provide all the necessary legal and environmental safeguards to ensure the landowner has divested himself of responsibility for the past present and future environmental issues. We are keen to acquire a diverse portfolio and ponds, woodlands and sites rich in ecological or biological habitat are of great interest to us. We work closely with leading consulting ecologists ERAP Ltd who act as ‘Ecological Guardians’ for any sites we acquire by monitoring, reporting and advising our landscape gardeners on how to correctly maintain and improve the habitat. 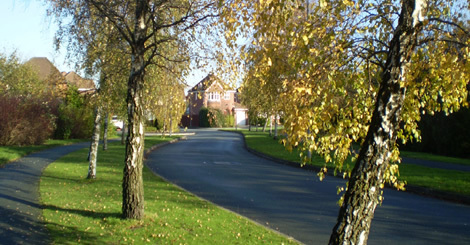 We strive to form close links with the community and these types of sites are ideal for residents to form a ‘friends group’ where we will actively encourage their participation by inviting them to talks given by our ecologist to describe the existing value of habitat and how it can be improved by careful management and ‘policing’ of the sites to minimise littering and vandalism.